Body dysmorphic disorder (BDD) is a serious psychiatric illness that becomes progressively worse. It makes a sufferer imagine that there is something hideously wrong with her appearance. This, in fact, is completely wrong. In this blog apart from talking about BDD, we are going to call out the media and fashion industry in fuelling this epidemic of BDD and body image disorders and start a conversation about what can be done. BDD sufferers can become preoccupied with any aspect of their appearance like their nose for example. They keep on obsessing about how their crooked nose makes them look hideous. They start carrying out repetitive behaviours, like trying out make-up to camouflage their nose, and obsess about their perfectly fine nose almost all the time… finally, they withdraw from life and become housebound, get into the loop of cosmetic surgeries and attempt suicide, sometimes successfully. BDD is also associated with extremely secretive behaviour. The sufferer typically is reluctant to seek help because they are afraid of being judged. Psychiatrists diagnose BDD based on whether the sufferer performs repetitive behaviours like mirror checking, excessive grooming, skin picking, reassurance seeking, or mental acts like comparing her appearance with that of others. BDD leaves no room for any other feelings but the one obsession- how to fix what one hates about oneself and this drives the sufferer to go for completely unnecessary cosmetic procedures like breast augmentation, botox, rhinoplasty or nose job…the list goes on. The obsession usually gets transferred to another feature after a surgery. BDD is often misunderstood as a vanity-driven obsession, whereas, it’s quite the opposite- women with BDD believe themselves to be defective and ugly. 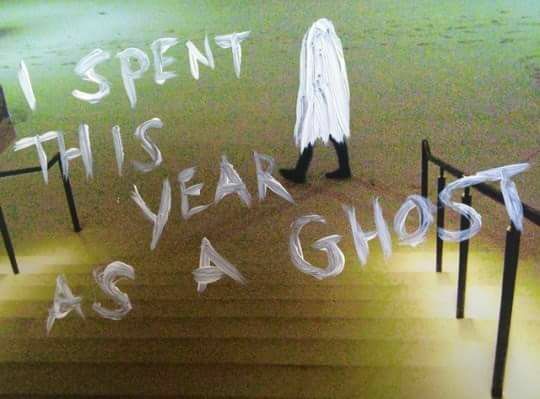 They have extremely low self-esteem and spend their life as a ghost. BDD is linked to an unusually high suicide rate among all mental disorders. A German study has shown that about 2% of the general population suffers from BDD, with a larger percentage showing milder symptoms of the disorder (Psychological Medicine, vol 36, p 877). Among adults, BDD results in high rates of unemployment, social dysfunction and isolation and similarly, BDD in youth is associated with reduced academic performance, social withdrawal and dropping out of school altogether. BDD sufferers usually also suffer from other major psychiatric disorders like depression, social anxiety disorder and obsessive-compulsive disorder or OCD. As BDD often takes hold during the teenage years when one is very vulnerable. The risk only goes up if ‘ideals’ of appearance are held up to youngsters. This can trigger the development of this debilitating illness. Like for example, we are inundated with ads sending out messages 24/7 that a teenage girl will not be able to get a guy if she suffers from acne, has dandruff, is dark complexioned and/or fat. Since most BDD sufferers are obsessed about their skin, hair, facial features and body fat, this kind of messaging about what makes them attractive or ugly, can trip them into body dysmorphia from being just dissatisfied about their looks in general. Many teenagers consume fashion magazines and TV, follow celebs on social media, and all of this puts alarming amounts of pressure on them to look a certain way. It used to be that women and girls would only occasionally see rail-thin models, such as Twiggy, the ‘60s fashion icon in the past. But now they see them every day. It’s the norm. As the fashion industry sends out the message that ‘thin is in’ and good skin is an absolute must-have if you are even to be considered ‘normal’, then it is not completely out of line to assume that those suffering from BDD may begin to have their fears about never fitting validated. Having said that, body dysmorphia is still a rather new phenomenon and serious research needs to be done to discover all of its causes. We know some of the other factors that contribute are poor mother-child relations, bullying, child abuse including sexual abuse, and genetic factors to a small extent. What even tentative links between the fashion industry, media and BDD do highlight right now is that there is a great responsibility that the fashion industry, advertising agencies and film, TV and social media bear towards their young vulnerable consumers and audiences. And, what can we do as parents and adults to stop kids from falling prey to BDD? Media literacy is an option and a good one at that. Tell your kids that fashion models are made-up, airbrushed and literally ‘created’ by a team of professionals before they look like they do on magazine covers. Talk to your child and establish a solid relationship, make her feel secure and happy about her own body, and last but not the least, if she shows symptoms of body dissatisfaction, do seek help from a trained psychiatrist.